Your BMI number is a starting point for understanding what a healthy weight means for you. You may have an image in your mind of what you want to look like, a number on the scale you're aiming for or just a sense of how you want to feel in your body. But how do you know for sure whether you're at a healthy weight? Simply put, a healthy weight means you have the right amount of body fat in relation to your overall body mass. It's a weight that allows you to feel energetic, reduces health risks, helps prevent premature aging (such as worn-out joints from carrying around too much weight) and gives you the best quality of life. Stepping on the scale tells you your total weight, including bone, muscle and fluid. But it doesn't tell you how much fat you're carrying. The most accurate way to do that is to have a professional body-fat analysis using a reliable method of estimation — but that can be expensive and fairly complicated. 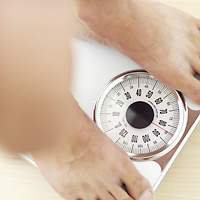 A simpler tool for indicating your weight status is the body mass index (BMI) measurement. This mathematical calculation takes into account both your weight and height. Although BMI doesn't distinguish between fat and muscle, it more closely reflects measures of body fat than does total body weight. For most people, BMI provides a fairly accurate approximation of health risk as it relates to their weight. 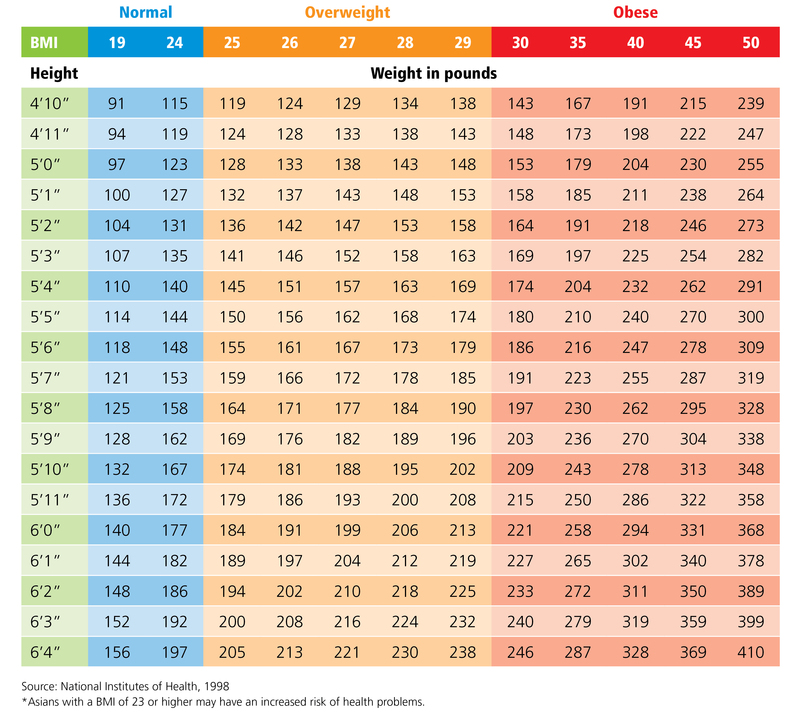 To determine your BMI, find your height in the left column on the chart. Follow that row across to the weight nearest yours. Look at the top of that column for your approximate BMI.